It’s been a while since my last library on the web. I’m making ethernet library with TCP client and TCP server support using external PHYs (currently testing with DP83848, but it will support any PHY you want). I have some troubles yet with code, so library is not prepared for download. It will be as soon as I made it clear and stable. 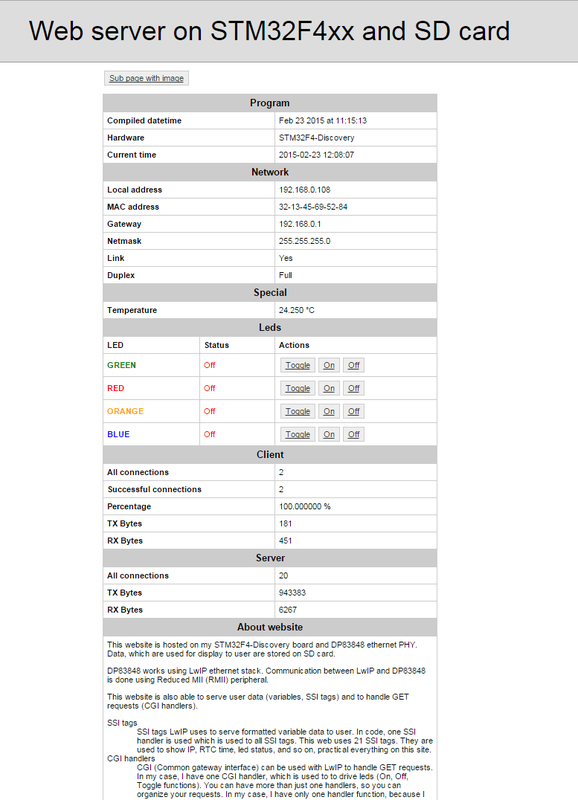 Currently, I have a working example on my home network, and it is also available on link below. Source code, which you see on site is located on SD card and is not loaded in flash memory of STM. Preview does not work anymore, because library is available for download.